Beautifully handwoven with a nuetral chevron pattern from cotton, hemp, and jute, this charming area rug from Timbergirl will enhance any home decor while also protecting your floors. 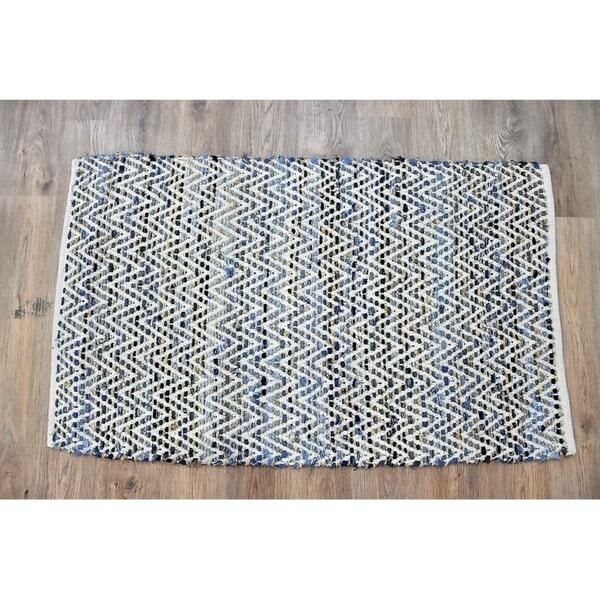 The rug is latex free and flat-woven, making it easy to clean. Features: Primary materials: 66% Cotton, 24% Hemp, 10% Jute Latex: No Pile height is 0.25-0.5 inch Style: Contemporary Hand-woven from cotton and hemp Multicolored color block chevron pattern Rectangular Tip: We recommend the use of a non-skid pad to keep the rug in place on smooth surfaces.